To convince people to read your book, you have to give them a reason. The quickest and easiest way is to create memorable characters that give your reader a reason to keep reading. You want to make your reader care about what happens to your main character! So if you’re looking to get writing and want to know where to start, I recommend you start with your characters. 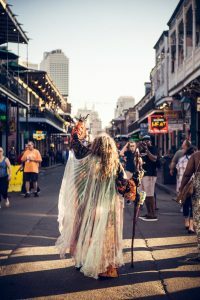 Let’s take a look at some simple ways to add the vital dimensions to your characters so you can then make people want to read your story to find out what happens to them! When getting started, I recommend getting just a lined sheet of paper (or a notebook works). Some options in the digital landscape include Scrivener (This is a paid program, but you can access a free 30-day trial to check it out!) or some the freebie programs out there include One Note and Evernote. I use Scrivener but will have a pen and paper handy when I’m out and about in case inspiration strikes and I’m not near my laptop. Much of what you write about your characters won’t appear in the storyline, but it helps you as a storyteller inject some realism into your story. Even fantasy stories have realistic themes in them! One tip that I’ve found useful is picking a picture out there on the internet, a celebrity or just something out there that looks like your character. Have that picture handy when writing your character, it can help you visualize them and how they look in the story. Note: Never use just any old image in any promotional materials (i.e., as in a cover) unless you know you have permission. For visualization purposes though, you can use whatever picture helps you. You can also do a free write on a blank page or notepad on your computer and write down every single detail you can think of related to your character’s physical appearance. 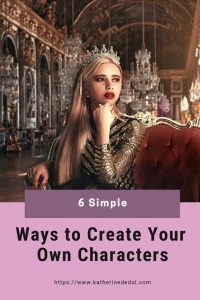 You won’t necessarily reveal all of these to your reader in the story, but it can help you as the writer accurately visualize and translate that visualization into something memorable. No, this isn’t about the Amanda Marshall song (totally awesome song by the way), but, unless your character is being born in the first scene of your story, they had to have had a life up until the beginning of your tale. 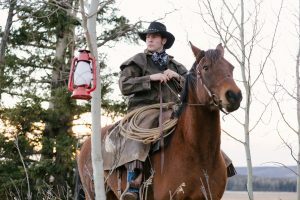 While you may not go into vast amounts of detail with their childhood and adulthood up to the point of the story’s beginning, you’re still going to want to flesh that out for you. Did they date in school? Who did they date? What did they do after school? For some more questions, check out my earlier post 5 Essential Tips for Character Writing. For all that is good and sacred in the world, do not make a character without flaws! We all have our little hang-ups and to create a character that doesn’t have any is not going to sell copies of your book. I’m not talking about physical flaws either, but if you want to give your character a limp, there’s nothing wrong with that. However, if that’s their only flaw, it’s going to be a boring book. The stories that sell have a character that yearns for something and goes through a series of challenges and obstacles to achieve that thing. You mainly want to make your character suffer and depending on the genre, either overcome that suffering or succumb. Add some classic heroic qualities in as well, and this will keep your character driving forward even when the going gets tough. A great way to visualize a character is to spend a few days focused on what you are doing and what motivates you to do the things you do. Think of it as a bit of a fun acting project, become them for a day. Trust your readers to figure out the character qualities as you unfold a scene. Focus on what your character is doing, saying and thinking. Let your readers figure out the rest. 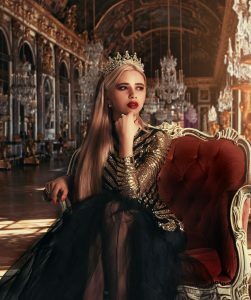 A cool tip I read on Book Edits by Jessi is to create a positive attribute for every four to five negative attributes for your antagonist or “villain” of the story. The last thing you want when creating a villain is to have your readers picturing the stereotypical Bond Villain. You also want to look at ways to show your readers how this bad guy went so very bad in the first place. Create Your own Characters by Spending Time With Them! Ultimately in order to get people to read your book, you have to give them enough information about your main character (in particular) to make them care about what happens to them. Reading a book does take some dedication, and if you don’t care that much about the outcome, it’s going to be hard to continue to pick that book up and read it. 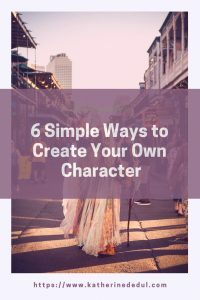 These tips will help to breathe some dimension into your characters, particularly the two pivotal ones (the protagonist and antagonist). 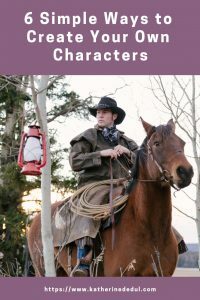 Supporting characters need not be as developed as your main character, but creating some depth in each character in your story will make even your minor characters memorable. I hope you found these tips as useful as I have. If you did, I’d love to hear from you, leave a comment down below with your favorite character-building tip (even if it wasn’t on my list) or feel free to share this post with your network using your favorite share button or pin this content to Pinterest! Also, if you find you don’t have time to sit down and write about your characters (and everything else), be sure to check out my free productivity tips guide to squeeze a bit more out of your 24 hours! Next week I’m going back to crafting, this time it’ll be about dangling earrings and how to make them. Until then, stay crafty my friends!